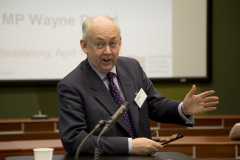 Wayne David has been the Member of Parliament for the Caerphilly constituency in Wales since June 2001. He is currently Parliamentary Private Secretary to Ed Miliband. Previously he was the Shadow Minister for Political and Constitutional Reform for two years and Shadow Minister for Europe between October 2010 and October 2011. Prior to this he was the Shadow Minister for Wales, having been the Parliamentary Under Secretary of State in the Wales Office, serving between October 2008 and May 2010. 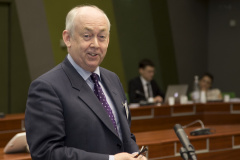 Between June 2007 and his appointment to the Wales Office he was a Government Whip for the Department for Work and Pensions and the Wales Office. Before entering Government, he was a Member of the European Scrutiny Select Committee and the Standards and Privileges Committee. Wayne has a long-standing interest in developing links with Poland and Bulgaria, joining the All Party Parliamentary Group on Poland and serving as its Chair. In 2006, he established an All Party Parliamentary European Union Group, which he chaired until June 2007. In addition, he was also an office-holder in the All Party Parliamentary Groups on Iraq and Madagascar, as well as being the Secretary of the Welsh Group of the Parliamentary Labour Party (PLP) and Secretary of the PLP's Committee for the Department for Work and Pensions. 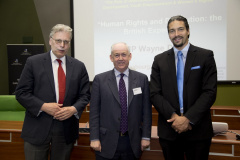 Previously, Wayne was a Parliamentary Private Secretary to the Ministry of Defence Team and then to the Minister for the Armed Forces, Adam Ingram. Before being elected to Westminster, Wayne worked for the Youth Service in Caerphilly. For 10 years he was a Member of the European Parliament for South Wales and was Leader of the Labour Group. Before being elected to the European Parliament, Wayne worked in the Rhymney Valley as a lecturer and organiser for the Workers' Educational Association.